BOSTON - Once fearing he would be viewed as "a loser for life" if he failed to win the presidency, Mitt Romney is trying to re-emerge as a force in Republican politics. 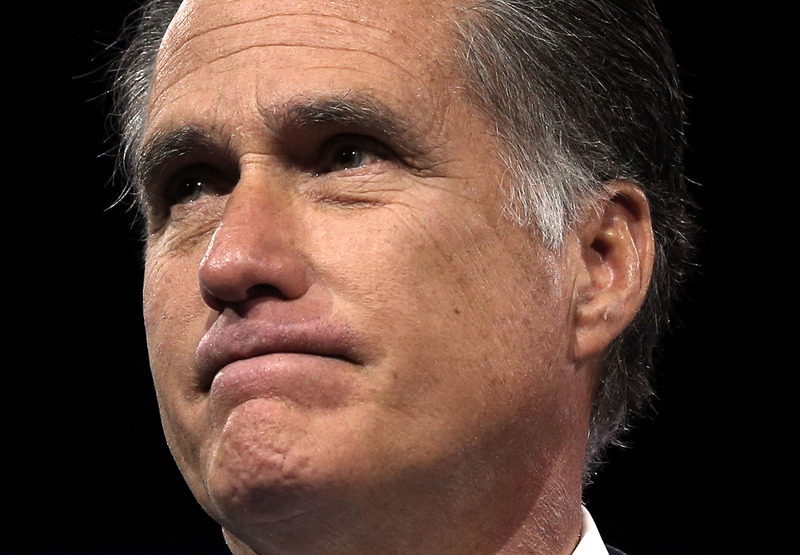 Romney has quietly sought kingmaker status in the GOP's fight for the Senate majority this fall and its quest to retake the White House in 2016. The effort at revival is fueling whispers about a third presidential run. But those closest to Romney suggest he's more interested in shaping party politics by lending his name and record-breaking fundraising machine to what he considers the next generation of electable conservatives. "I don't think he's ever been more popular than he is today," said Spencer Zwick, who led a Romney campaign fundraising machine that raised more money than any Republican campaign in history. Allies say Romney's political brand has benefited from an ongoing leadership void in the Republican Party, "buyer's remorse" from an electorate disappointed with President Barack Obama's second term, and a positive response to a recent documentary film, "Mitt," that shows his personal side. But the resurgence comes in stark contrast to Romney's own prediction leading up to his loss to Obama just a year and a half ago. "I have looked, by the way, at what happens to anybody in this country who loses as the nominee of their party," Romney says in "Mitt" during a candid moment. "They become a loser for life, all right? That's it. It's over." The former Massachusetts governor is fighting that perception in this midterm election year. His political stock will be on display this week as he hosts his annual "ideas summit" in Park City, Utah, a private event that features a handful of potential presidential contenders, key members of Romney's inner circle and major political donors. The $5,000-a-head gathering, which begins Thursday, is expected to bring 250 to 300 people to a luxury resort in the heart of the Rocky Mountains. This year's theme is "American Leadership at Home and Abroad," according to organizers who describe the informal conference as a nonpartisan exchange of ideas. But it's not all panel discussions and speeches. Zwick says the highlights will include a shotgun outing with Romney's 2012 vice presidential pick, Wisconsin Rep. Paul Ryan, mountain biking with Ohio Sen. Rob Portman, and golfing with Kentucky Sen. Rand Paul. Other potential presidential candidates set to appear include New Jersey Gov. Chris Christie, former Arkansas Gov. Mike Huckabee and Democrat Brian Schweitzer, a former Montana governor. The business community will be represented by former Treasury Secretary Henry Paulson, who will lead a hiking trip; Dallas Mavericks owner Mark Cuban; former Walmart CEO Lee Scott; DirecTV CEO Michael White; and Univision CEO Randy Falco, among others. The three-day conference helps connect those weighing presidential runs with a coalition of business leaders and individuals with whom Romney has worked hard to build relationships, Zwick said. "We spent years traveling the country, trying to meet these folks," he said. "I wish someone had done this for us." The Utah gathering represents only a part of Romney's impact on today's political world. He has intensified efforts in recent weeks to influence the GOP's midterm election strategy. And Republican candidates from Idaho to Florida are fighting for his endorsement. Romney so far this year has endorsed 29 candidates running for statewide office or Congress across 23 states, according to his office. Of the 12 Republican who have had primary elections already, all have won their party's nomination to run in the general election. "Our party in recent years unfortunately has snatched defeat from the jaws of victory by nominating poor candidates," said former Romney aide Ryan Williams. "Gov. Romney has stepped up and helped good, electable conservatives win." Romney has participated in 17 campaign events this year - all but two were private fundraisers, including one in New York this week to benefit the Senate Republicans running for re-election. He campaigned late last month alongside Republican Senate candidate Joni Ernst, who won last week's crowded GOP primary election in Iowa. The real value of the endorsement is likely to take effect in the months leading up to the general election. Romney's endorsement is a signal to his national network of donors that Ernst is a viable national candidate, he said in an interview with The Associated Press after addressing Ernst supporters in Cedar Rapids. "By indicating my support for Joni, as well as some other candidates from around the country, we're encouraging donors to help these candidates," Romney said. "Not everybody in the country knows what's going on in Iowa, or the other states." The 67-year-old grandfather of 22 is relying upon the same small brain trust of longtime advisers that guided his presidential campaign as he weighs the midterm races. "He's surprised obviously in a pleasant way by the outpouring of affection from a lot of folks and the demand for his help and advice," said longtime adviser Ron Kaufman. "He could fill his schedule five times over." Kaufman continued: "He'll do whatever it takes to help us control the Senate and get the White House back - not for Mitt Romney, but for his 22 grandkids."